This spacious home near the Swamp Rabbit Trail has plenty of UPDATES, a large FENCED yard, and lots of HARDWOODS on the main floor. 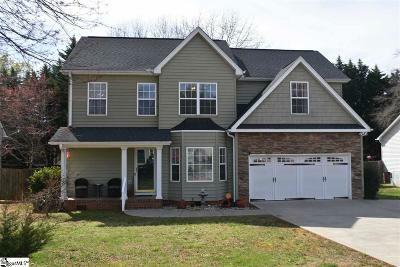 You will feel the warmth from the hardwood floors as soon and you walk in, and the rooms open into a great floor plan centered around the kitchen and great room â has a GAS LOGS fireplace and rock surround. Cooks will love the extra COUNTER SPACE in the kitchen, NEW APPLIANCES, and a WALK-IN PANTRY with lots of storage. A nice bay window area is comfortable for a breakfast area and overlooks a level backyard with large DECK, STORAGE SHED, and GARDEN area. A large LAUNDRY room has plenty of space to work and is convenient to the kitchen. Hardwoods run up the stairs and metal balusters give an elegant look; check out the big closet under the stairs for storage. Wow, the master bedroom is huge with large walk-in closet and spacious bath. You have 3 more large bedrooms upstairs to spread out in. All NEW CARPET upstairs and the paint looks sharp. New architectural ROOF in 2010, new HOT WATER HEATER 2017. New carriage style GARAGE DOOR and extra PARKING PAD gives room for more cars in your family. Lots of cabinets in the garage come in handy for storage. SIDEWALK runs around the neighborhood making it great for walking the community. The coveted SWAMP RABBIT TRAIL is just down the road - a great place to bike or walk; plus Furman University is super close and a fantastic place to enjoy. 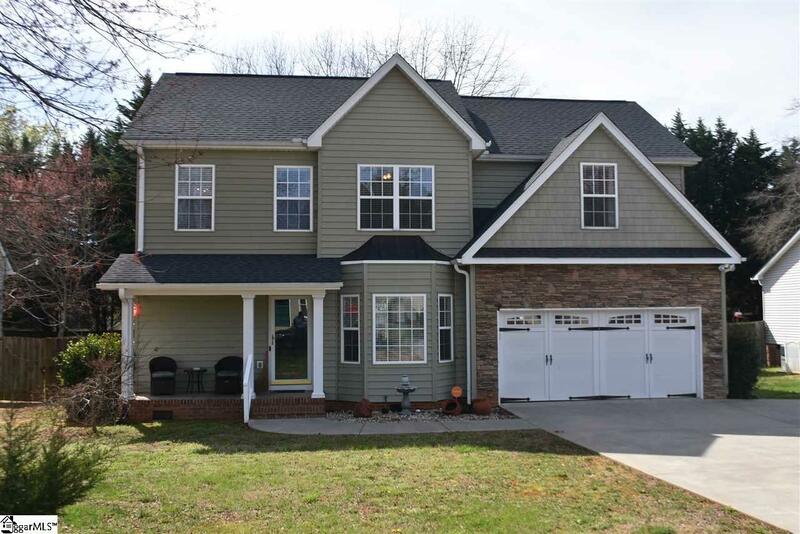 Partridge Ridge is a coveted neighborhood- great location â quick to Travelers Rest, the Blue Ridge mountains, or back into downtown Greenville.